Addressing the troops; Consenses crew gets some final marching orders. 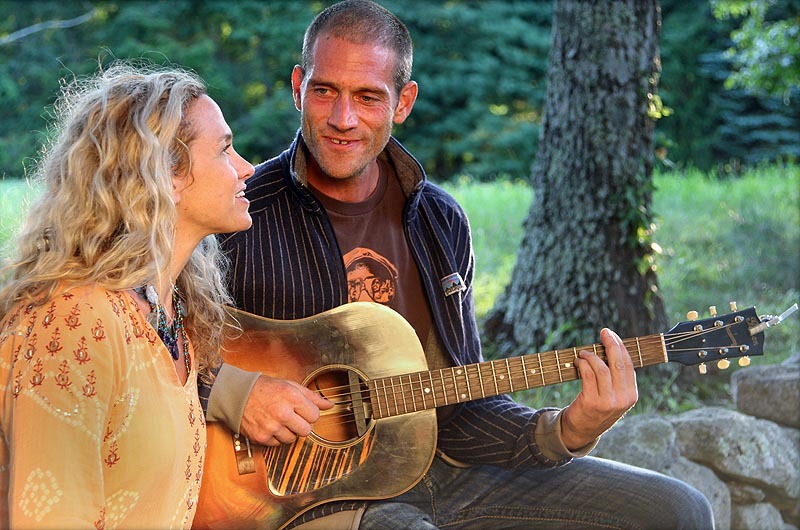 On Monday night, Sally Taylor and her brother Ben sat side by side, singing a song together as the sun set behind them. Mr. Taylor strummed his guitar while Ms. Taylor tapped her foot to the beat, a large smile forming on her face. After more than two and a half years of preparation for her multi-media art project Consenses, Ms. Taylor had just concluded her final planning meeting. The show opens on Monday, August 18, at the Grange Hall in West Tisbury and runs through August 20. “The idea that this is actually coming to fruition a week from today is probably the most exciting thing that has ever happened in my life,” Ms. Taylor said. The project was inspired by an old fable of six blind men stumbling upon an elephant carcass. Each blind man touches a different part of the carcass and comes to a different conclusion as to what he is feeling. One examines the tail and believes that the elephant is a rope, while another feels the tusks and believes they are spears. It is only after the six stop arguing and talk to each other that they realize they are looking at an elephant. Ms. Taylor began the project by selecting 22 images, each depicting a different angle of the same object. She sent these images to 22 musicians who then each wrote a song based on the image and sent the song back to Ms. Taylor. She then sent these songs to painters who interpreted the music into paintings and the paintings were sent to dancers and the dances created were sent to poets and so on with each artist only seeing the work that immediately proceeded their own in the chain. In total, 144 artists from around the world participated in the project, including Jimmy Buffett, Patrick Corbin and Reggie Watts. For the show, visitors are invited to sign up for one-hour shifts to walk through the installation. Eight of the 22 art chains will be on display in physical form. Visitors will use all five of their senses to observe how the work developed and morphed from one artist to the next. Around the periphery of the room, tablets will be set up to show the other 14 chains that are not displayed physically. Even during the course of the show, the meaning of the artwork and the way it is perceived will continue to develop. For each of the 22 chains of work, visitors are encouraged to write their own interpretations on bulletins. Although this show is the first public Consenses installation, Ms. Taylor believes that this is just the beginning. The funds raised next week will go towards touring the show, commissioning more artists, and bringing the work to schools to inspire a new way of thinking about art. 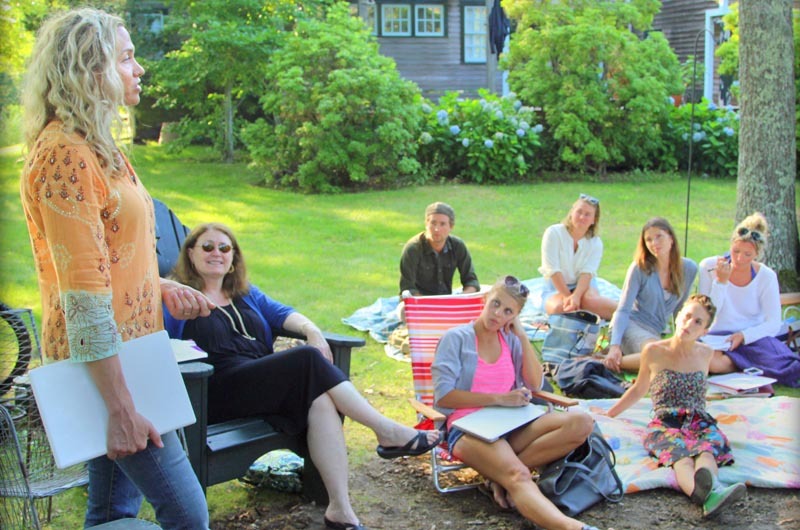 Consenses will be at the Grange Hall in West Tisbury on August 18 and 19 from 10 a.m. to 5:30 p.m. and on August 20 from 2 to 5 p.m. To reserve a time to view the project, visit consenses.org. Congratulations on this major achievement. All your hard work paid off!